It’s not unusual for people to wait until they have exhausted all “logical” courses of action before they turn to God or their religious leaders for help. Some people have lived with the anguish of obsessions and compulsions for years – perhaps their entire lives. Parents and family members of OCD sufferers may not approach you, either, until they think they’ve tried everything to help their loved one cope with OCD and are at their wits’ end. 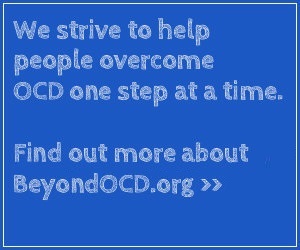 On the other hand, you may be the first person individuals struggling with OCD (or their loved ones) may contact. In times of crisis, many people turn to their religious leaders immediately for guidance and support. Regardless of when people seek your help, you are in a unique position to help them. Because members of your church or religious organization look up to you, you can help them understand that they don’t have to suffer in silence – that God (or their particular deity) doesn’t intend for them to suffer endlessly with the heartbreak of OCD. You can also assure them that they are not alone, and that there is real help available to them. It’s important to keep in mind, however, that no one should expect you to diagnose or treat OCD; it should be diagnosed and treated by a qualified mental health professional. In some cases, people who seek your counsel will have religious Scrupulosity, a form of OCD that involves irrational religious obsessions and corresponding compulsions, or rituals. When this is the case, you can help people understand that with proper treatment, they can separate their true faith and devotion to religious principles from the unwanted and distressing obsessions and compulsions of OCD. They can still be devout and productive members of the congregation, but rid themselves of OCD. You may want to contact a cognitive behavior therapist who has treated OCD and Scrupulosity to determine if he or she would be willing to meet with you and the OCD sufferer to begin the journey to recovery. Learn more about counseling people who have Scrupulosity. In many cases, family members and friends become extremely involved in the rituals of the OCD sufferer. They may help him or her perform rituals, such as checking door locks, helping decontaminate clothing, food or even entire rooms. Or they may provide items necessary to carry out rituals (e.g., soap for hand washing) or help the person avoid certain stimuli that serve as OCD triggers. They believe they are helping their loved one by assisting – or accommodating – OCD and may not know what else to do to keep peace in the household. Unfortunately, when people accommodate OCD, they actually reinforce OCD behavior – making it easier for OCD to get stronger and keep its grip on their loved one. To better serve family members of individuals with OCD, you can learn about how they can stop accommodating OCD in the home. You can also learn about a number of other ways family members and friends can help their loved one, and at the same time, take care of themselves. The Friends and Family section of this web site contains a wealth of information on this topic.